Oculus Go vs Gear VR- Which is a better investment? Oculus Go is a standalone VR headset and the Gear VR is a smartphone based VR headset. If you are thinking which one is better then this is the right post for you. Oculus Go is double the price of the Gear VR and if you are someone who wants to know which one is a better investment then keep reading. 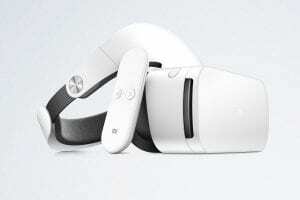 There are quite a few differences among these two headsets but the one major difference has to be the fact that the Oculus Go is a standalone headset and it does not need a laptop or a smartphone to power itself. The Oculus Go gives you a quality VR experience and when compared with the Oculus Rift, we did feel that the Oculus Go was a better investment. So, comparing the price difference between the Gear VR and the Oculus Go, it is going to be interesting to see which one is a better option. The Gear VR headset, on the other hand, needs your smartphone. 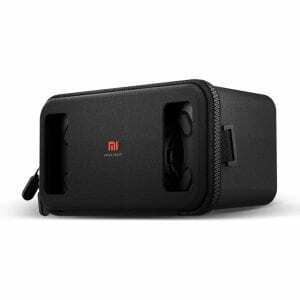 It is a smartphone powered headset and even though it is cheaper than the Oculus Go, it does provide a fairly good VR experience. If you want a thorough comparison on these two headsets then do read the post till the end where we give our final verdict on which one is the better headset. The design of the Oculus Go is pretty simple and as it is all gray in color with the straps that help hold the headset in place. 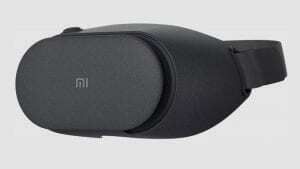 The headset weighs around 470 grams which is similar to the weight of the Gear VR. Both the headset weighs almost the same once you place your phone inside the Gear VR. The weight distribution of the Oculus Go feels slightly better than the Gear VR. The Gear VR comes with an all-black design where you are going to love the trackpad on the side and the controller that comes along with it. A clear distinction between both the headset is that one is powered with a smartphone and the other is standalone. Although both are wireless headsets. So you can move around freely while you are in the VR world. Both the headsets can be taken with you on the Go so both are portable as well. The final winner might be a little more difficult to decide than I anticipated. Coming back to the display, the Display of the Oculus Go is way better than that of the Gear VR. It is more sharp, crisp and clear. The display on the Gear VR largely depends on the phone that you are using to power it and in any case, it is not as good as the Oculus Go. The Oculus Go has a display that even beats the Rift so I can tell you that if you want to have an immersive experience then investing in the Oculus Go might be your best bid. The Refresh rate on the Oculus Go is between 60-72 Hz. Overall, I felt the experiences were good anyway and the Motion sickness was at a minimum with the Oculus Go. There Gear VR is a smartphone based headset so most of the apps work without any issues and you do get an immersive experience. You can feel motion sick in a few games with the Gear VR but personally, I have never found a game that could make me barf. The FOV on the Oculus Go and the Gear VR is 101 degrees which is pretty good for a nice interactive and immersive VR experience. The Field of View is an important aspect when it comes to having an immersive experience. The Field of view is the viewing angle inside the VR world and the wider the viewing angle the better it gets. The Oculus Go comes with something that is called the inside out tracking and this makes things a lot easier as the controllers are tracked with the software inside the headset. Since the headset is a standalone headset so you do not need any other device but the headset and the controller to get started with playing games and watching videos. In the Gear VR, you can only control your movements within the game using the trackpad that is present on the headset. The newer version comes with a remote controller as well which is pretty similar to that of the Oculus Go but in this case, you need to pair the controller with the phone. Both the headsets have a slightly different functioning when it comes to their controllers even though their controllers look very similar. Oculus Go is a standalone headset so you need no other device to run it. All you have to do is charge the headset and you are good to go. The battery of the headset lasts for 2 hours so in the case, you are planning to use it for more than that, carry the charger that comes along with it. The Gear VR, on the other hand, is compatible with only a handful of phones and in case you want to get a Gear VR then make sure you have phones from the Samsung Galaxy series. The latest version of Gear VR which released in September 2017 is compatible with these phones from Samsung- Galaxy Note 5, Galaxy S6, S6 Edge and S6 Edge+, Samsung Galaxy 8, Samsung Note 8, Samsung Galaxy 9 and Samsung Galaxy 9 Plus. 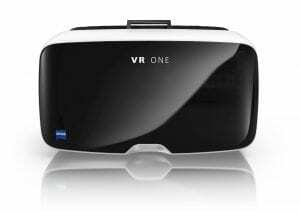 This compatibility is ONLY for the latest version of the Gear VR so make sure that you are aware of which version you are purchasing as the older versions of the Gear VR is not compatible with the newly released Galaxy Flagship phones. The gaming on the Oculus Go is far better than the Gear VR. First off, there is no overheating issue on the Go like you have on the Gear VR and since you do not have to use your phone, your phone battery remains untouched while using a headset like the Go. Gaming is far better in a standalone headset and if you are someone who does not like to use their phone for gaming then you should invest in the Oculus Go. The Oculus Go is way better than the Gear VR when it comes to a gameplay experience and you would feel it instantly once you have played a game on both the headsets. Game titles on both the headsets are pretty good, however, there is a lot of other options when it comes to the Oculus GO. We have a totally different post on how you can play Steam VR games or other games on the Oculus Go making the library vast something that the Gear VR lacks. The Gear VR was a pretty good headset and if it was 2016, then you know the Gear VR would have been one of the top wireless headsets but it is 2018 and Oculus Go has a lot more to offer. Even though the Oculus Go is double the price of the Gear VR, it is still affordable and you do not need any PC/laptop or a mobile phone to get it running. This is the best part about the headset that you do not need to invest money in any other gadget. If you are someone who wants to have a premium VR experience without spending a lot of money on the Vive then the Oculus Go is definitely your headset. You do not need to insert your phone in the Oculus Go like the Gear VR. Honestly, once you see how overheated your phone gets inside the Gear VR, you would prefer the Oculus Go any day. So looking at all the features we can easily say that the Oculus Go is the headset you should invest your money into and it is definitely worth every penny and more. Do let us know which one is your favorite headset among the two! If you own both the headsets then let us know your experiences in the comments below!